Some time ago I wrote a post entitled ‘Kubernetes networking 101‘. Looking at the published date I see that I wrote that more than 2 years ago! That being said – I think it deserves a refresher. The time around, Im going to split the topic into smaller posts in the hopes that I can more easily maintain them as things change. 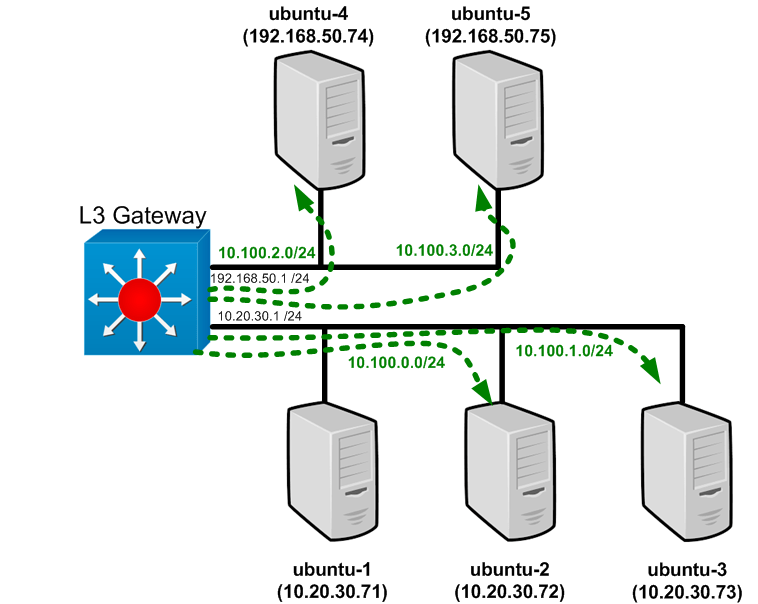 In today’s post we’re going to cover how networking works for Kubernetes pods. So let’s dive right in! So now that we’re back to a level state – let’s talk about pods. We already have some pods deployed as part of the kube-dns deployment but to make things easier to understand let’s look at a deploying a new pod manually so we can examine what happens during a pod deployment. I didnt point this out in the first post – but kubectl will inherently work on only your master node. It will not work anywhere else without further configuration. We’ll talk about that in an upcoming post where we discuss the Kubernetes API server. For now – make sure you’re running kubectl directly on your master. A pod (as in a pod of whales or pea pod) is a group of one or more containers (such as Docker containers), the shared storage for those containers, and options about how to run the containers. Pods are always co-located and co-scheduled, and run in a shared context. A pod models an application-specific “logical host” – it contains one or more application containers which are relatively tightly coupled — in a pre-container world, they would have executed on the same physical or virtual machine. From this output we can tell that this container is running in what I call mapped container mode. 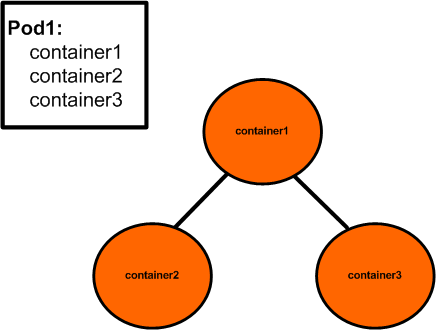 Mapped container mode describes when one container joins the network namespace of an existing container. If we look at the ID of the container that jonlangemak/web_server_1 is mapped to, we can see that it belongs to the second container in the above output – gcr.io/google_containers/pause-amd64:3.0. 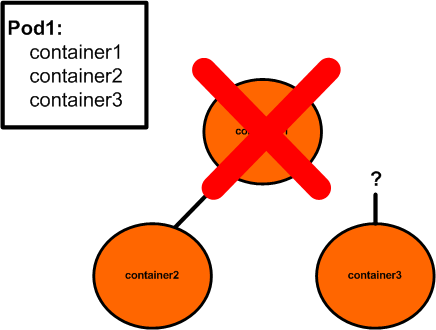 So we knew that all containers within the same pod share the same network namespace but how does the pause container fit into the picture? Let’s imagine container1 spawned first. After that container2 spawned and managed to connect itself to container1’s network namespace. Shortly thereafter container1 encountered an error and died. Not only is container2 in trouble, but now container3 has no place to connect to. If you’re interested in seeing the results it’s not hard to replicate just by running a couple Docker containers on their own. Start container1, then add container2 to container1’s network namespace (–net=container:<container1’s name>), then kill container1. Container2 will likely stay running but wont have any network access and no other containers can join container1 since it’s not running. 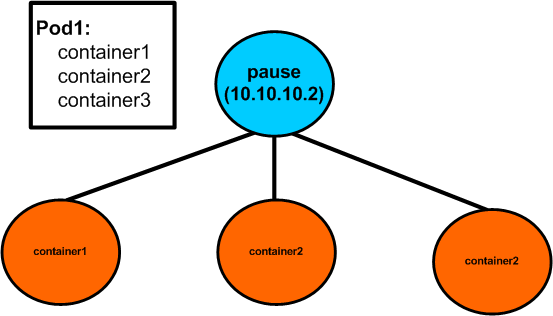 In this scenario – we know that the pause container will run and we don’t have to worry about what container comes up first since we know that all containers can join the pause container. In this case – the pause container servers as an anchoring point for the pod and make it easy to determine what network namespace the pod containers should join. Makes pretty good sense right? At this point we’ve seen how pause containers work, how to deploy pods with one or more containers, as well as some of the limitations of multi-container pods. What we haven’t talked about is where the pod IP address comes into play. Let’s talk through that next by examining the configuration for our first pod we defined that’s living on ubuntu-3. As we described in the previous article – the host-local IPAM driver stores IP allocations in the ‘/var/lib/cni/networks/<network name>’ directory. If we browse this directory we see that there are two allocations. 10.100.1.2 is being used by kube-dns and we know that 10.100.1.3 is being used by our first pod based on the output from kubectl above. Kubenet creates a Linux bridge named cbr0 and creates a veth pair for each pod with the host end of each pair connected to cbr0. The pod end of the pair is assigned an IP address allocated from a range assigned to the node either through configuration or by the controller-manager. Should pods be accessed this way? Not really but it is a troubleshooting step you can perform if your network routing allows for the connectivity. Pods should be accessed through services which we’ll discuss in the next post. Shouldn’t that be that the spec defines two containers? 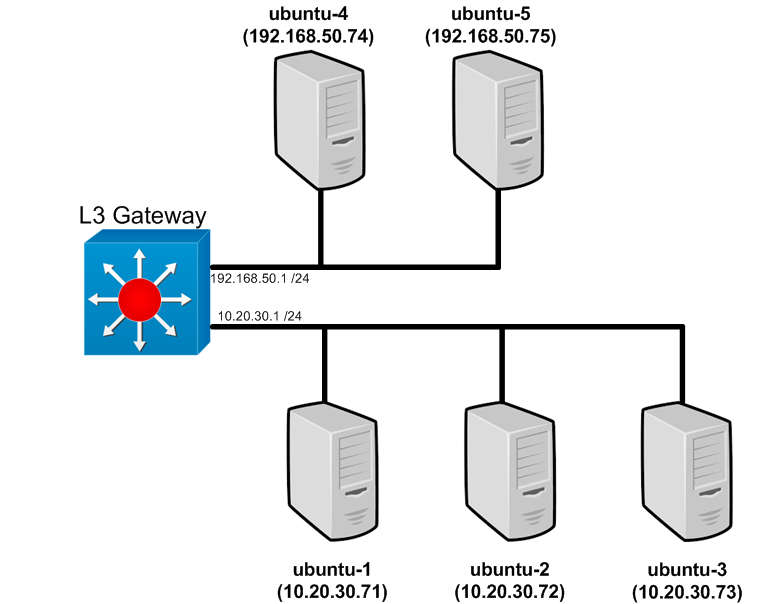 is there a networking scenario in kubernetes where we do not update the L3 gateway with pod ranges and it would still work? How did you verify that? Hello, I am unable to determine how the interface on the pod is mapped to the correct veth interface on the bridge. Could you clarify? Thanks.